Made with Oatstraw, Elder Flowers, Lemon Peel, Calendula Flowers & Mullein Leaf from Mountain Rose Herbs. 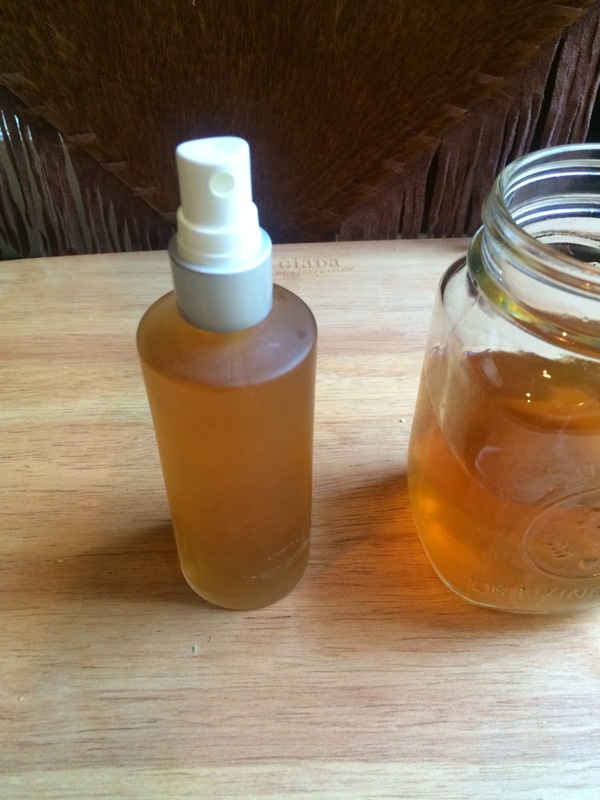 Whether your are a "No Poo" kinda person, or you enjoy sudsing up your lovely locks, you will LOVE this herbal hair rinse for blonde and light colored hair. 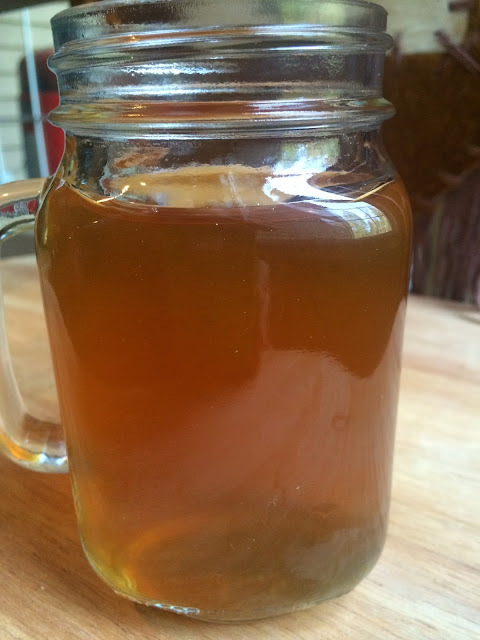 Not only is this recipe as easy as brewing a cup of herbal tea, it will leave your hair clean, shiny and revitalized. This recipe makes enough for one to two rinses (depending on your hair length). 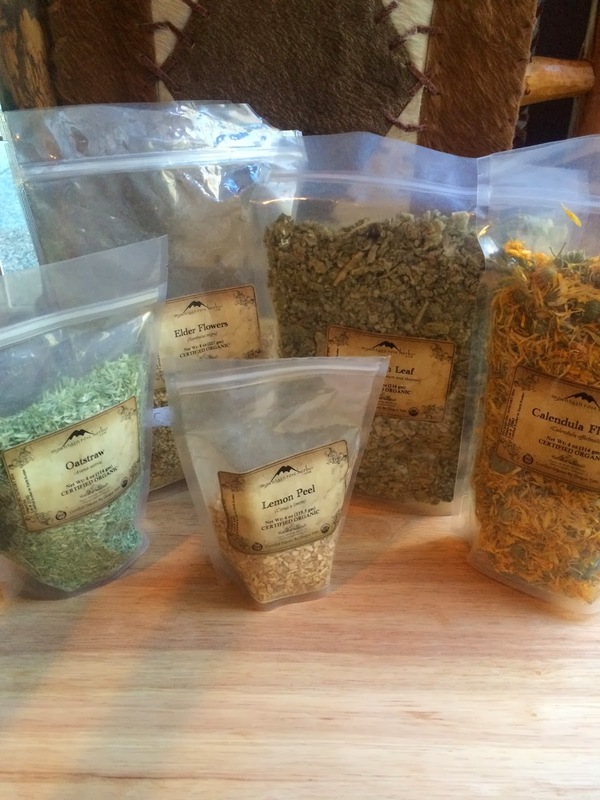 I LOVE getting my Certified Organic Herbs from Mountain Rose Herbs. I am an herbalist and I use a ton of herbs. 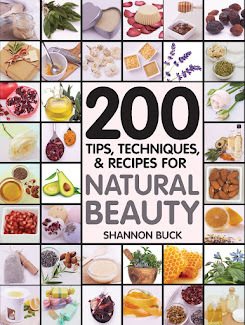 I cook with them, I heal with them, and I use them to make awesome skincare products. 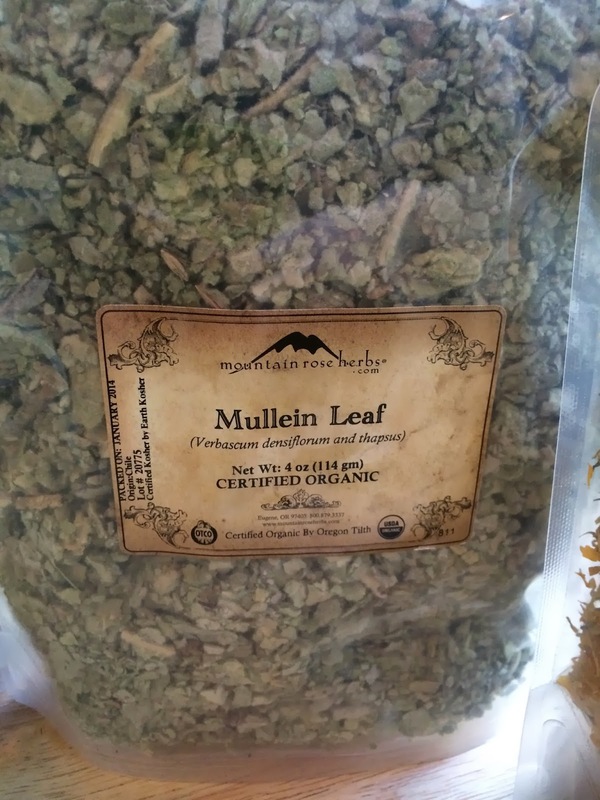 My favorite place to get Certified Organic dried herbs is Mountain Rose Herbs. They really do have the BEST herbs available. 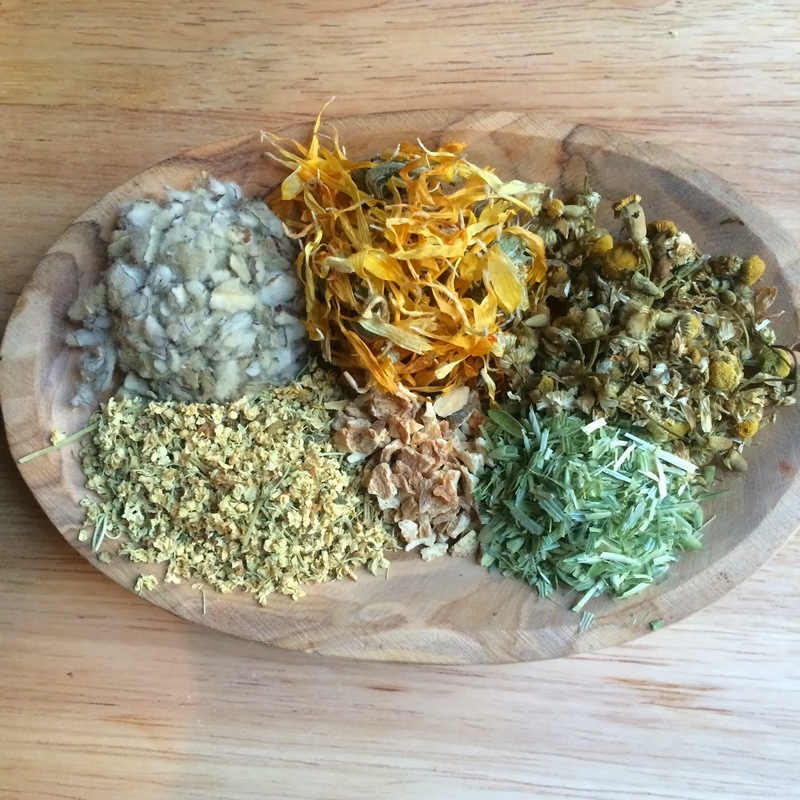 You can visit them at www.MountainRoseHerbs.com. All of the herbs in this recipe were purchased from Mountain Rose Herbs. 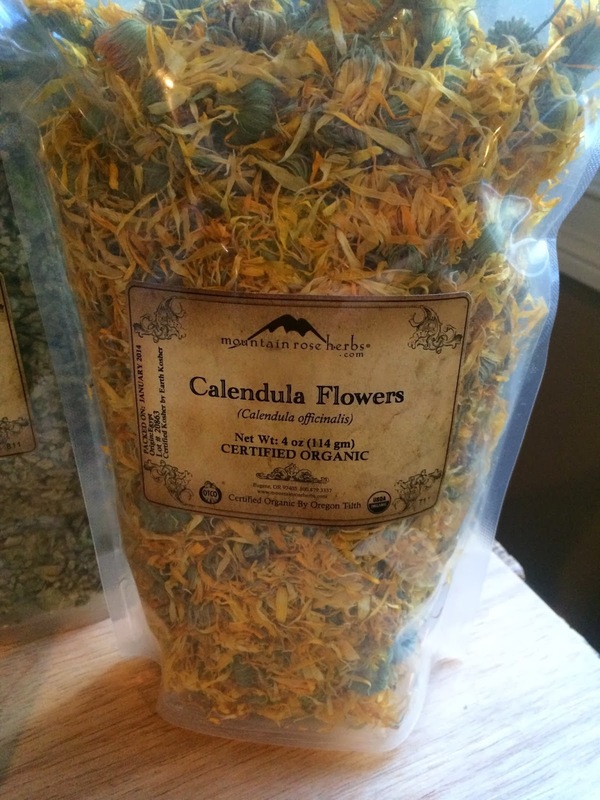 Calendula (Calendula officinalis) is available Certified Organic from Mountain Rose Herbs. 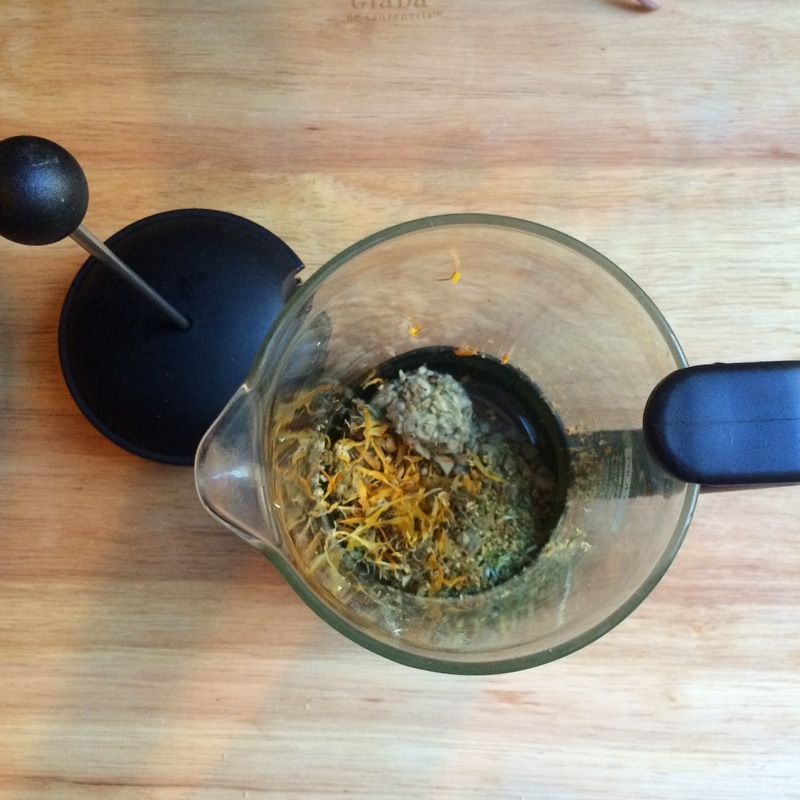 You will need one heaping tablespoon of dried Calendula Flowers. Mullein Leaf (Verbascum densiflorum) is available Certified Organic from Mountain Rose Herbs. You will need one heaping packed tablespoon of Mullein Leaf. 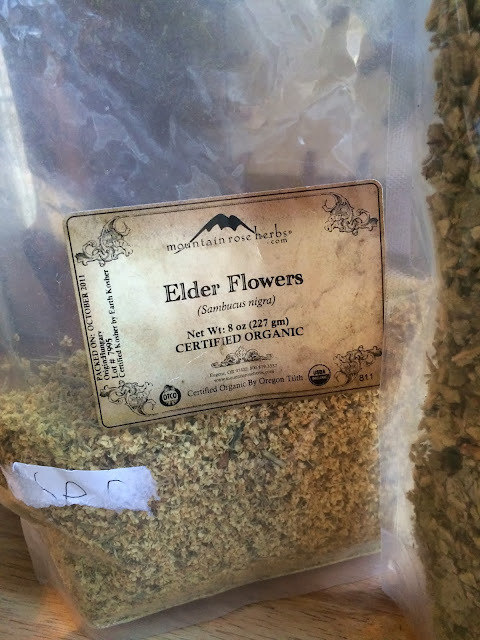 Elder Flowers (Sambucus Canadensis) is available Certified Organic from Mountain Rose Herbs. You will need one heaping tablespoon of dried Elder Flowers. FYI: These dried flowers smell so wonderful and amazing!! 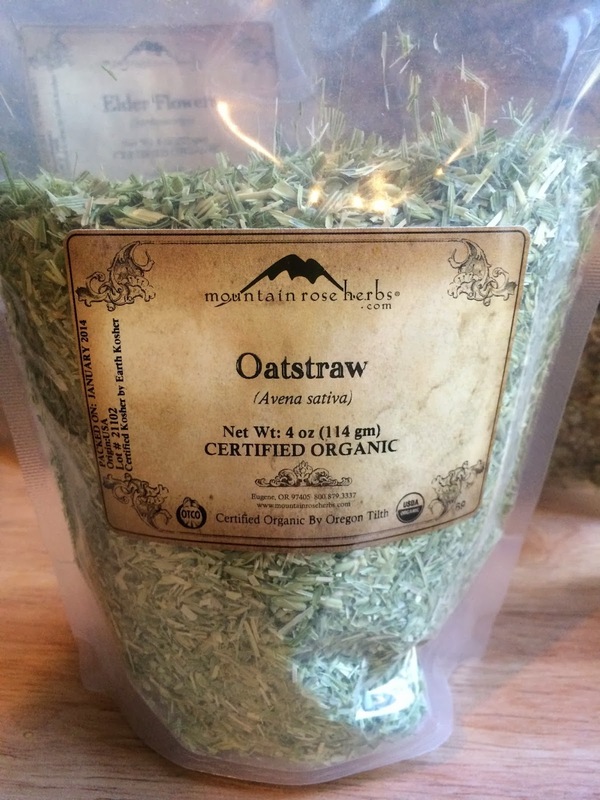 You will need one heaping teaspoon of dried oatstraw. 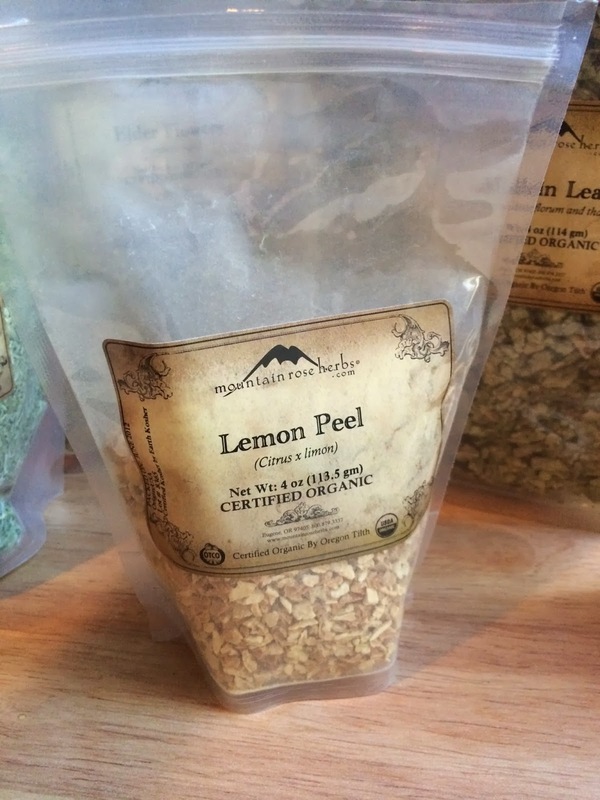 You need one heaping teaspoon of chopped dried lemon peel. 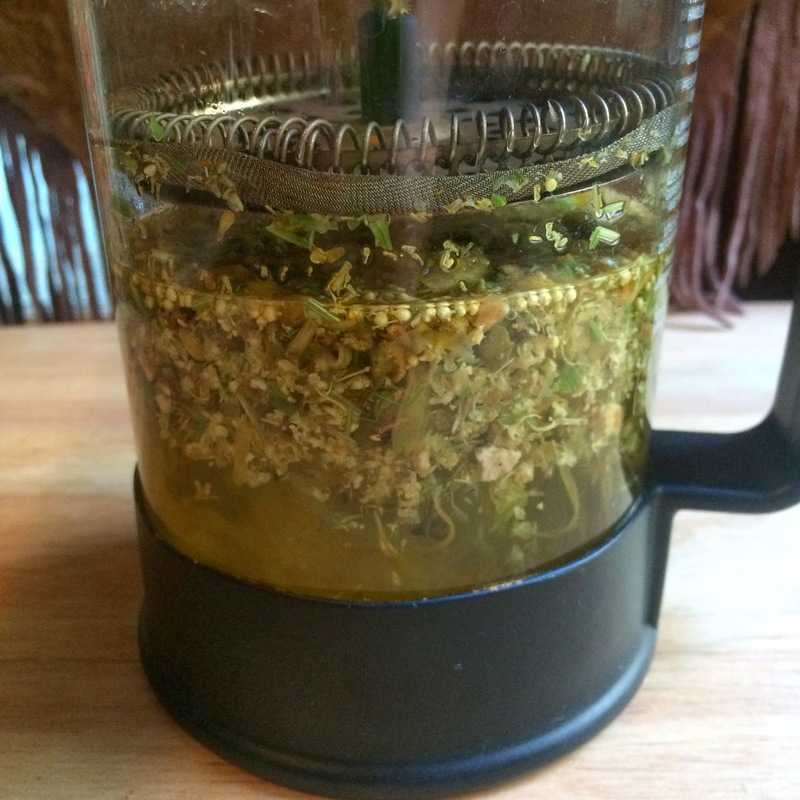 Place the dried herbs into a large French Press with 2 1/2 cups of boiling water. Allow the dried herbs to infuse the water for at least 30 minutes up to 1 hour. Strain the liquid from the herbs. Look at how beautiful this herbal infusion is!!!! Perfect for blonde hair!!! 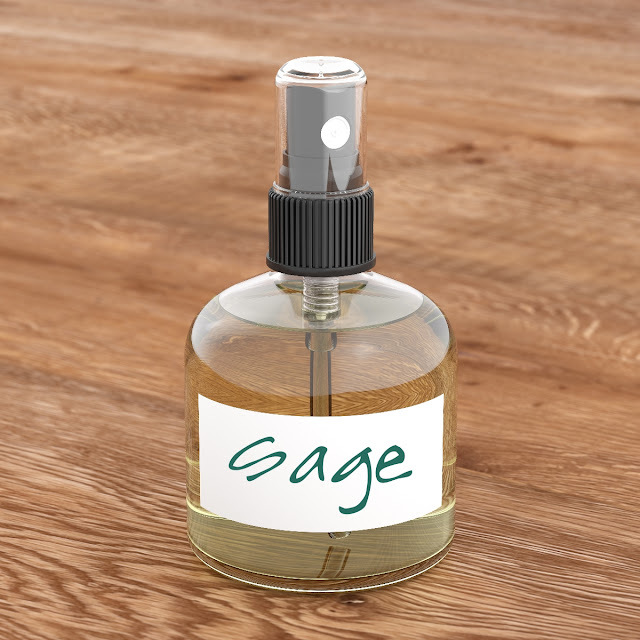 The way I like to use this is to add about 1 1/4 cups of the hair rinse to a spray bottle. After I cleanse and towel dry my hair, I drape my towel over my shoulders and mist the entire bottle of hair rinse through my hair while combing it through. I pat my hair dry to absorb any extra hair rinse and then allow my hair to naturally air dry. I get a ton of compliments when I walk in the sunshine. The other day a kind lady told me my hair is like spun gold. Store the remaining hair rinse in the fridge and use within three days. You can also freeze it in ice cube trays and thaw it out when you are ready to use it.